Restaurants, particularly those in large cities with high costs-of-livings, have been experiencing a crisis these last few years: They can’t find enough workers to fill positions. I wrote about this issue in 2015 for the Chicago Tribune, and in short, it’s a combination of low wages (the average annual salary for cooks nationwide in 2014 was $23,700), high rent (median monthly rent in San Francisco in 2014 was $4,000, likely higher now), and—and this is more empirical—millennials less likely to stay in one job for an extended period of time. What’s true in 2015 remains true in 2018—restaurants in big cities are struggling to find a good hand, be it line cooks or servers. Now add the specter of bad publicity—being in a work environment where sexual harassment was tolerated—and even the most-acclaimed restaurants aren’t immune to staff shortages. 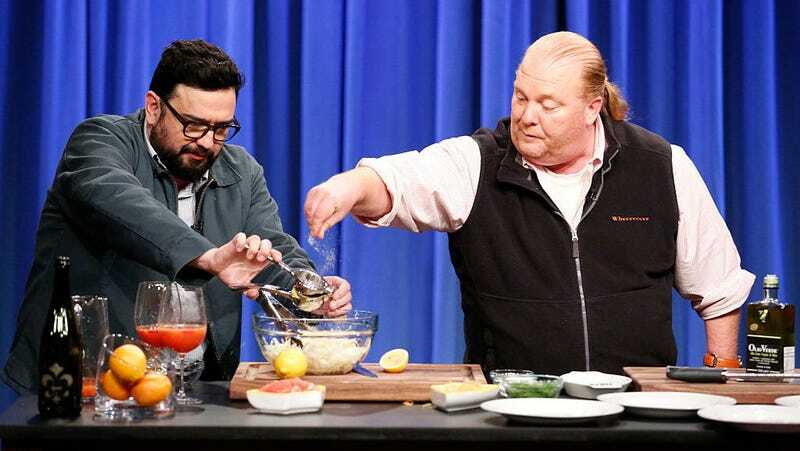 The New York Daily News is reporting that restaurants in the Mario Batali-Joe Bastianich empire are struggling to restaff after the recent spate of management turnover. Batali stepped down from his restaurant group after allegations of harassment and sexual misconduct were reported in the Washington Post. “We’re having lots of management changes right now, so we are looking for people to start right away,” acknowledged a staffer at Lupa in Greenwich Village on Wednesday, admitting the eatery was having a slow day despite being in the throes of Restaurant Week. A cursory search on Craigslist found job openings for Batali/Bastianich restaurants, including at Del Posto, awarded four stars in The New York Times. The position for front-of-house staff offered medical, vision, dental, plus 401k. Again, all restaurants are feeling the brunt of staff shortages, but when you’ve been tainted as a workplace that tolerates—or is even indifferent to—to predatory behavior, I’d imagine the deck is stacked even less in your favor.